We see it everywhere and it is true – breakfast is the most important meal of the day. But how many of us are able to spare the time in the morning to prepare breakfast and sit down and enjoy it? There is barely any time to spare as we have to dash out and hit the road before traffic builds up. Once we get to the office, the most we can do is send for fat drenched samosas and mandazi and get breakfast over with as we attack our in boxes and get swallowed in work. But all is not lost and we can still get to do better than get out of the house with nothing to show for breakfast and what’s more, we can get to make that healthy as well. Here are five healthy meals you can whip up fast and consume equally fast before heading out into the day. They’re also easy to take away and eat later. This is as simple as it sounds. 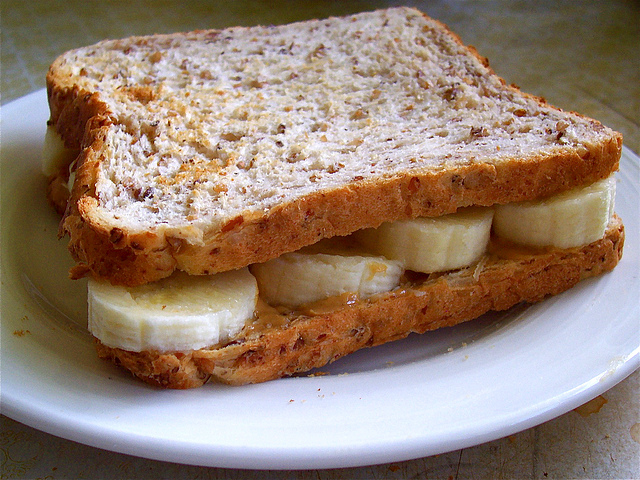 Whole wheat bread topped with peanut butter and sliced bananas. This balanced breakfast is nutritious and filling and will be ready in five minutes or less. It does not necessarily have to be bread. Buns and any other pastries you have will do so long as they’re whole wheat for the health aspect. Some buns come with a healthy topping of sim sim and/or other seeds and some have fruit baked in. Anything to add health to your breakfast. Wash this sandwich down with a glass of warm milk and you’re good to go. A smoothie is a meal in a glass – In this case an easy to make breakfast bursting with crucial nutrients, minerals and antioxidants to power up your morning. Fruit and vegetable smoothies are particularly handy in the morning as you get all the healthy goodness on an empty stomach. This has been proven to maximize absorption of nutrients as there is no interference from other unhealthy choices we may make during the rest of the day. As you get into the smoothie habit, experiment with different additives like peanut butter, cocoa powder or even instant coffee to add variety of flavour. Use milk or yogurt to blend your fruit so that you get some protein in. There are no hard and fast rules in smoothie combinations but you’ve got to enjoy what you’re consuming. Do not go gagging on spinach juice first thing in the morning if that’s not your thing – otherwise you’ll not stick to this very healthy habit. Nothing is as easy to do as boiling an egg. Even easier and more convenient in the morning because boiling eggs does not need any attention. You can leave them on the fire and take a quick shower and you’ll find your breakfast ready. If you’re particularly fast you can even fit in a shower and partial dressing as your eggs cook. Have the eggs with some fruit like banana, watermelon or paw paw and wash down with a glass of fresh juice or a cup of tea. As mentioned earlier, fruits are best taken on an empty stomach. If you don’t have a blender or the inclination to blend smoothies in the morning, then chop up the fruits and have them as a salad. This way you get to retain all the fiber, some of which may be lost when you go the smoothie way. Add some thick yogurt to your bowl of fruit salad for protein and you have yourself a healthy filling breakfast which can be as easy and fast to consume as it is to make. The thought of making pancakes in the morning does not sound very 5 minute breakfast but these really fall in that category. To make just one quick pancake, crash 2 weetabix biscuits, add 2 eggs and about two tablespoons of milk, whip and fry on a hot pan for 1 minutes each side or until ready. This weetabix, milk and egg combi is loaded with fiber and protein already. Chop up some fruit onto them to make a complete balance diet. There, no more excuses for passing by the supermarket or restaurant for takeaways in the morning.